Grab your teacups and craft supplies, and let's make some favors! Since this DIY is more of an assembly-related project, feel free to do any of these in whichever order you prefer. 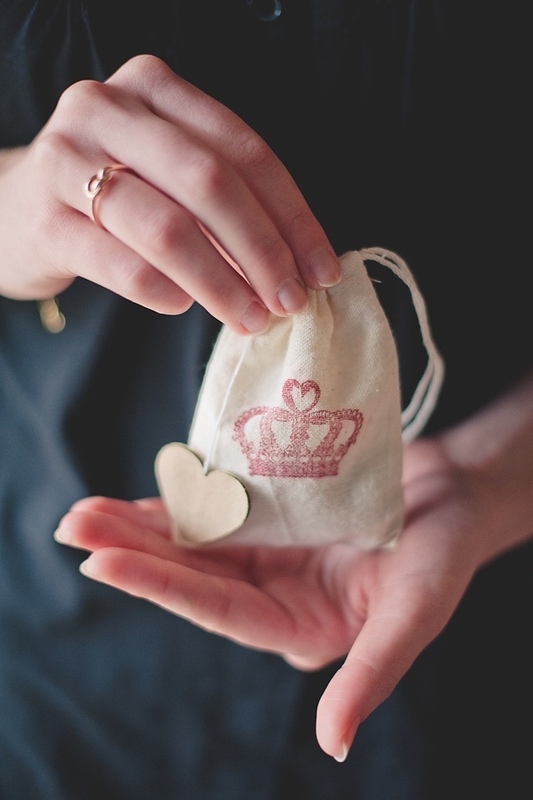 Stamp your heart/crown on muslin bags and allow to dry. (If you use the stamp pad above, there is very little ink bleeding and it will dry quickly.) 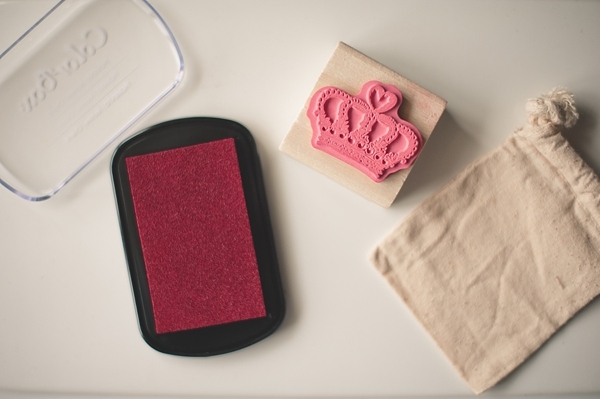 To clean your stamp, take a wet paper towel and "blind" stamp it until ink is removed. Using the heart punch, punch enough paper hearts for each tea bag needed. 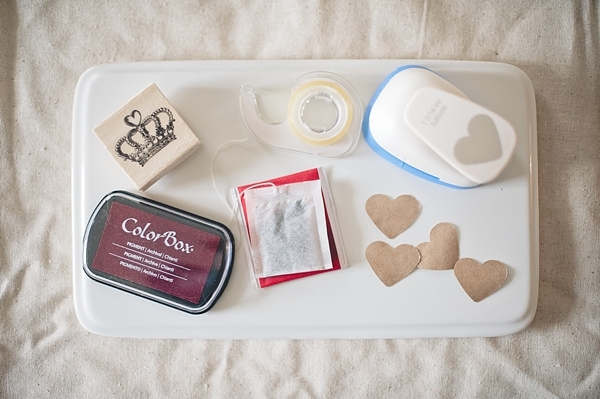 For example, 1 tea bag = 2 paper hearts needed. Remove the branded commercial tags on your tea bags. Cut small strips of double-sided tape and place one on one paper heart. 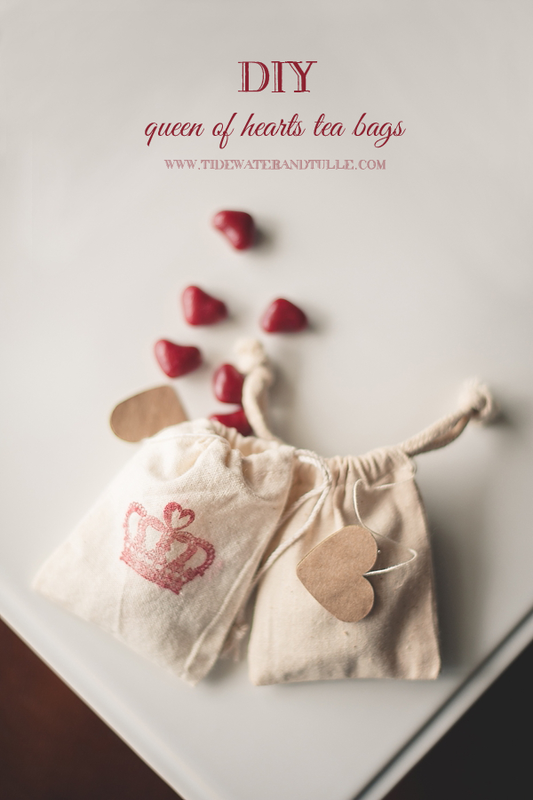 Then place the tea bag string in between and another paper heart for a "heart sandwich." Want to personalize it? Write the date or small phrase on your paper heart! 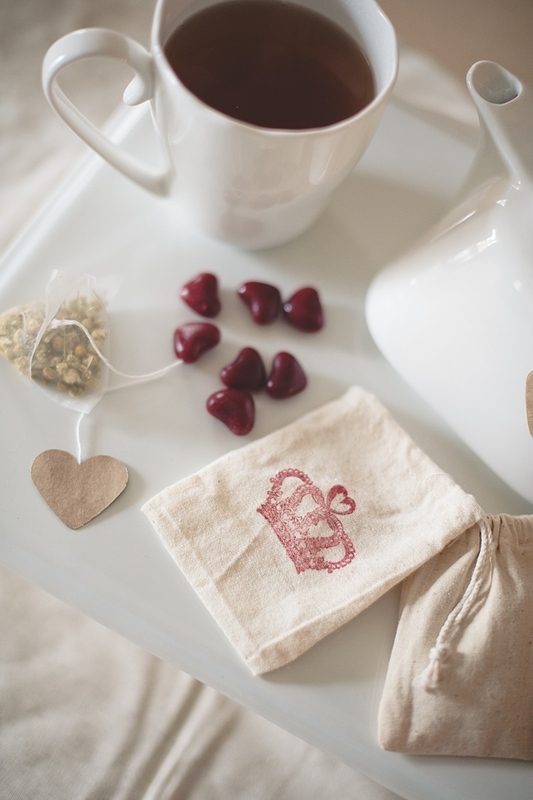 To finish it up, place a few heart candies and your tea bag into the stamped muslin bag. Enjoy!